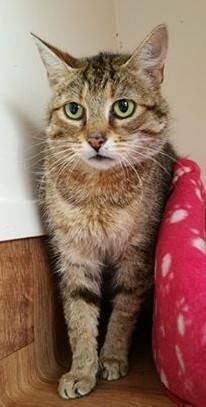 Jackie is a very scared young lady found with 4 young kittens. She is not feral just scared and rightly so. Lost and alone to fend for herself and her kittens. She lost all trust in us humans. Time and a lot of tlc is what she deserves and will get in abundance now. So if you have time and patience to give this lovely lady some tlc then please come and meet her.